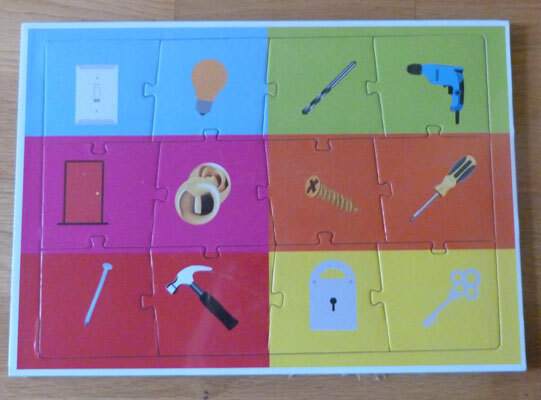 An Ecoboard jigsaw that requires the pairing up of images that portray objects that belong together e.g. lock and key. There are six pairs of matching objects, ie. 12 pieces that can be mixed up around the edge of the board. 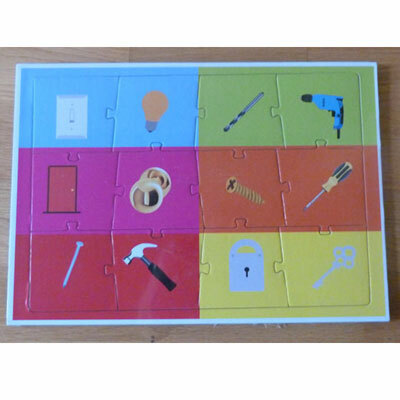 Frame around the edge and different coloured backgrounds for each pair give additional cues if required to assist the completion of the puzzle.